Jumpking have had such great success with their JumpPOD range, the Classic and the Deluxe, they decided an Oval version would be a great addition. All Jumpking Oval trampolines provide great features, quality components and superb performance. The Jumpking JumpPOD range was the first to introduce an integrated safety net system, this not only looks impressive, it enables a quicker build time and enhances the strength of the trampoline. 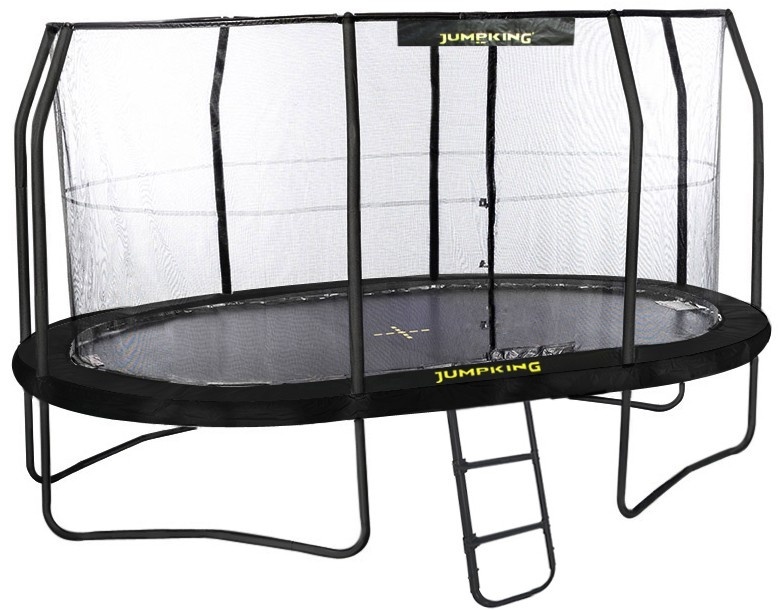 This trampoline is extremely strong, highly recommended and is suitable for children of all ages.